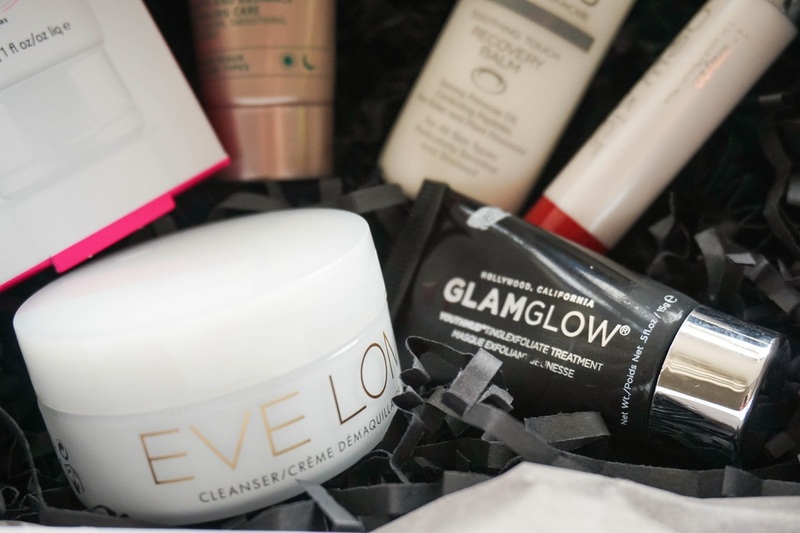 I've said it before that I am not into beauty boxes, having a subscription every month will probably loose the effect on me after a while, not to mention receiving products every month that I may or may not use just doesn't appeal to me. 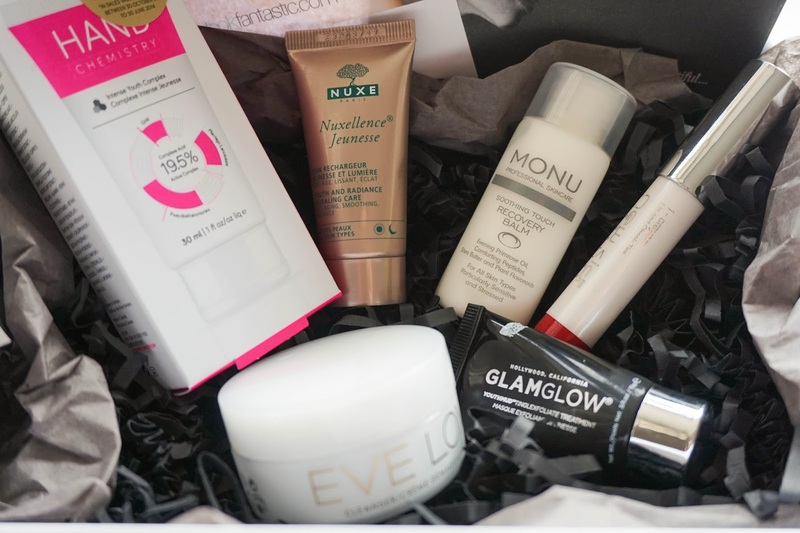 But in September after I spotted twitter focus being on a new box being released from Look Fantastic which you can buy on a monthly basis, I decided to go for it and pop my beauty box cherry. Here I am two months later with my second beauty box ever. No I'm not hooked just yet as I didn't order the October edition since I was still using products from my first one, but after seeing it being released on the 1st of November when the contents where revealed I decided it was too good to miss out. So this is why I am a little bit late to whole reveal of the box as I only received it on Wednesday. Nevertheless here is what I received and my thoughts on each item. Next favourite product is the Glamglow Tinglexfoliate Treatment, which I have tried before in the try it out kit I purchased a while ago, but now that I've used up all the samples I am glad to have it back in my life. It wasn't my favourite out of the bunch as you can read all about it in this post here, but I am trying to be good and wait until after Christmas to treat myself as I have products that need using up so I am glad to have it as a sample for now. The last favourite product is the Nuxe Nuxellence Jeunesse (Youth and Radiance Reavealing Fluid) which is supposed to 'improve the texture and appearance of your skin as it re-energises you cells'. Sounds pretty good to me and I have already started using it the night I got the box. I love the scent and the way it feels on the skin. Definitely impressed after a few uses and so happy to finally be trying out a Nuxe product. Now onto the three other products that I didn't know much about when ordering the box but found as a nice bonus. The one that I am happiest with is the Hand Chemistry Intense Youth Complex which smells amazing and it is so rich and moisturising. I don't know how I haven't hear dog this brand before but I am so glad to have stumbled upon it. I love hand creams especially this time of the year and this is perfectly sized to carry around in your purse. It will be my winter hand saviour for sure. Next up is another brand I haven't been familiar with and another skincare product, the Monu Recovery Balm. This again has a lovely scent and feels super nice on the skin, it is really making a difference already to my dehydrated skin. I have been using this mostly after cleansing in the morning as a serum before my moisturiser and I love how well it is absorbed into the skin while leaving my skin hydrated. 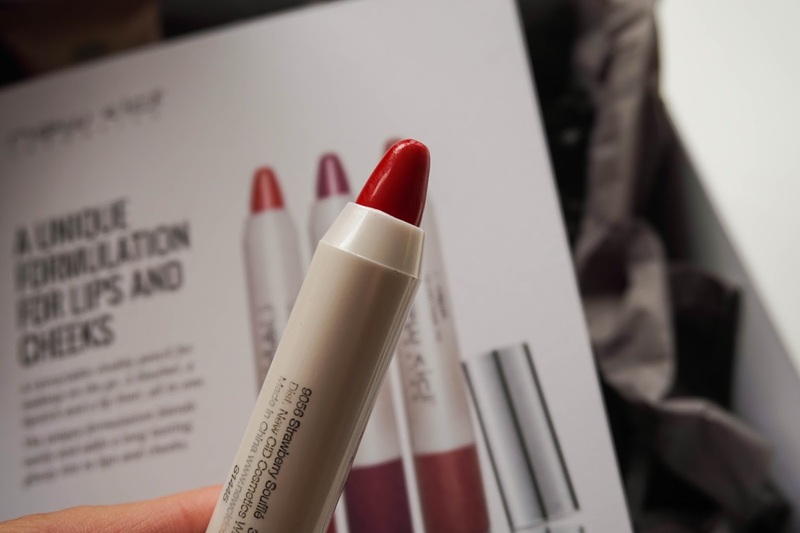 The only product that I have been disappointed with is actually the only makeup product in the box surprisingly enough, the CID Cosmetics I-Crayon in Stawberry Souffle. 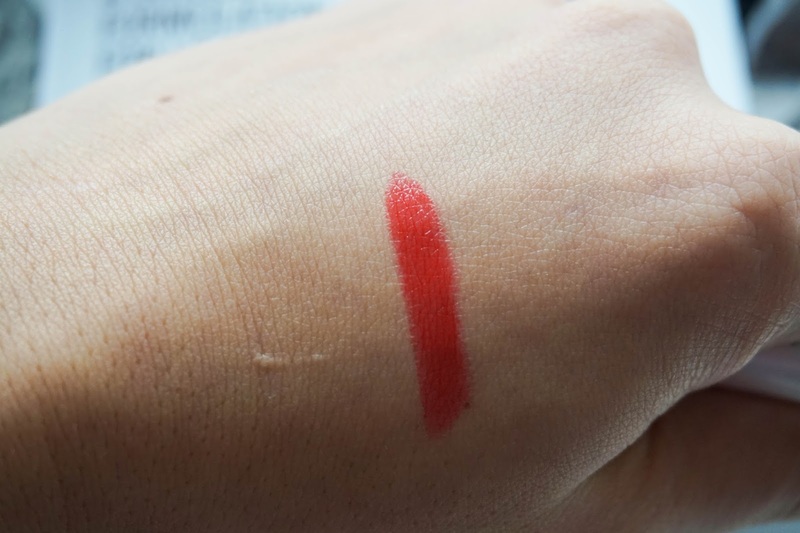 The only reason I am not liking this lip/cheek tint is because of the shade I received, which you can see is a red/orangey shade that is really not to my liking. I have mentioned before that red is not a colour I ever go for, especially with this orange tint to it. It's a shame I didn't receive another colour as I love the formula of this, really glossy and moisturing, leaving behind a tint of colour that last ages and still feels comfortable on the lips. If it was in another shade I would definitely get a lot of use out of it. Before I finish the post I just wanted to keep you updated on how I got on with the products from the September edition if any of you are interested. Jurlique Advanced Serum Herbal Recovery Gel was so nice to use and it lasted me ages. My skin felt really moisturised whilst using it but the only thing I didn't like was the scent, as it was a bit too herbally for me. 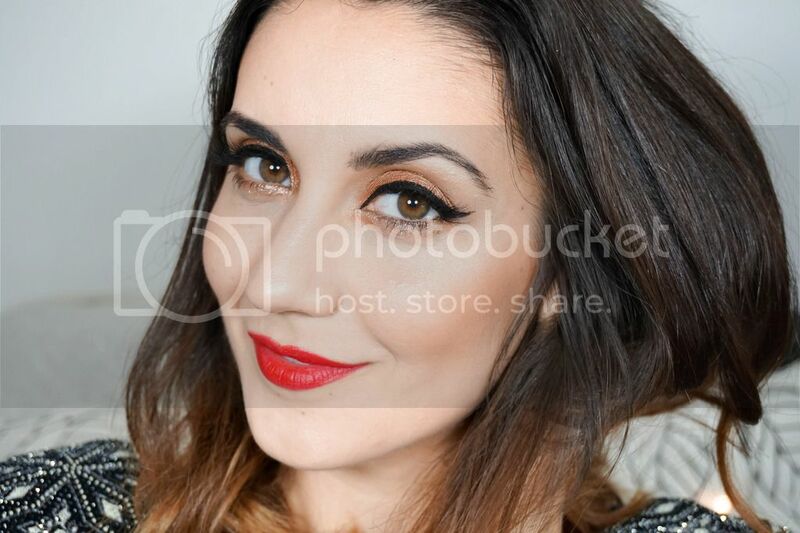 Hoever I am dying to try more from the Jurlique brand now. Caudalie Divine Oil was a bit of a hit and miss to be honest, I enjoyed using it at the beginning and mostly used it for my hair but gradually I noticed that my hair was getting greasier the more I used it so I stopped. The trick with this products is getting the right amount, as too little has no effect and too much results in greasy hair. I still have half of the sample left so will try use it up for the body next. This Works Deep Sleep Pillow Spray was a total disaster for me. I had high hopes of using this and having a good night sleep but unfortunately the scent is not for me. As soon as I sprayed this onto my pillow I regretted it and couldn't wait for the scent to disappear. So instead of getting me calm, relaxed and helping me drift away it just had me frustrated. This is just a personal preference though as this kind of strong herbal scent is not my thing (clearly I am a fussy gal when it comes to scents). Kerastate Nutritive Duo were a nice welcome to me and I enjoyed using them for a good few washes, but it didn't make me see such a huge difference to my hair that I wanted to go out the next day and buy them. So I will stick to my regular shampoo/conditioner that I tend to buy in special offers in the supermarket. But maybe I will look into getting a hair mask from them. St. Tropes Self Tanning Mousse has been left as predicted, on my bathroom shelf untouched. It's not because there is something wrong with it, sure how could I even know, but tanning products don't interest me at all and I never use them. I might pass this on to someone else who will enjoy it along with my other tanning products building dust on the shelf.